The CoverGirl brand has been around for decades. Year after year they select beautiful models and actresses to be the face of their successful makeup company. For many years, it’s been young women that represent them. However, they are definitely diversifying. Last year, CoverGirl had their first CoverBoy. Then? Their first CoverGirl wearing a hijab. And most recently, the makeup company hired Maye Musk. 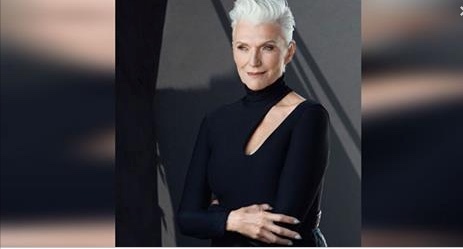 She’s a 69-year-old stunning model who couldn’t be more ecstatic to take on the role. Musk’s grace, beauty, and poise are something to be admired. It’s no wonder that the famous brand wanted her to represent them. She’s everything that encompasses and envelopes confidence. When you see her pictures, you’ll quickly understand why she has been so successful as a model despite her age. Musk is the epitome of elegance. Continue to the next page to see Musk’s incredible photos! Let us know what you think in the comments below. I love her ways of life styles.amazing and what a lovely lady she is that you’ve wanted to be like her .